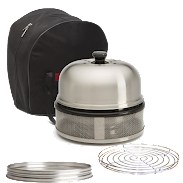 Cobb Premier Grill/Oven, Carry Bag, Roast Rack & Griddle. 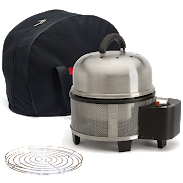 Cobb Premier Grill/Oven, Carry Bag, Roast Rack & BBQ Kit. 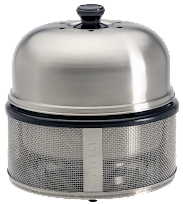 Cobb Premier Grill/Oven, Carry Bag, Roast Rack, Fry Pan & Fry Dish. 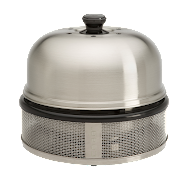 Cobb Premier Grill/Oven, Carry Bag,Roast Rack, Fry Pan, Fry Dish & Griddle. 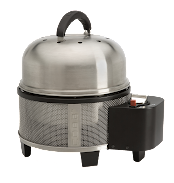 Cobb Premier Kitchen in a Box + BBQ Kit, Dome Holder, Disposable Sleeves & free fuel. 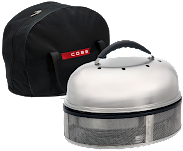 Cobb PRO (Black) Grill/Oven, Carry Bag & Roast Rack.